Creativity, imagination, and a zest for learning . . . that’s what Jim Valley brings to children everywhere. 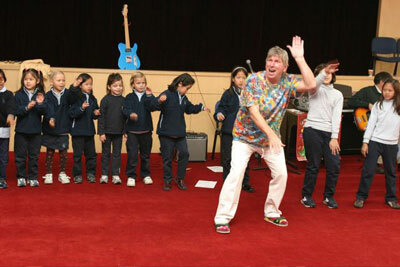 With the help of children from around the globe, Jim has been able to create songs centered on the natural interests of children. Jim’s artistic talent stretches across six musical recordings addressing the life long needs of getting along, working together, and friendship. Many songs are written from the hearts of children about timeless issues of importance to them, and then Jim has set these lyrics to heartwarming music. 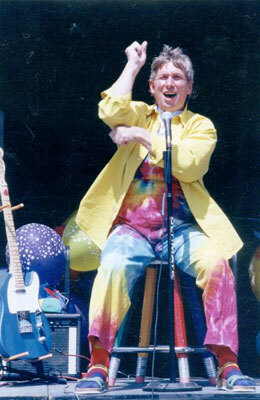 In Jim Valley’s Rainbow Planet assemblies, the school community will enjoy a wonderful celebration of singing, movement, sign language and stories. There is no preparation required. Assemblies can be designed to fit your school’s mission and goals. All aboard for friendship, fantasy and fun! A one day program includes: three 40-50 minute sessions per day divided by grade level –OR-- two sessions per day with a culminating assembly. For more information or to schedule a Jim Valley visit, please contact us.